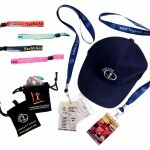 Promotional Merchandise for Personalistion & Company Branding. 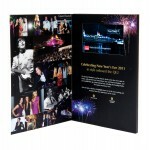 Leaders in bespoke promotional products. At Global Promotional Solutions we deliver promotional merchandise that will complement and enhance your event or campaign. Our personalised merchandise service and creative ideas find the right solution for you and the perfect products that “talk” to your target market. By understanding your company requirements, Global delivers the right product, on time, on cost and with a unique angle to deliver a successful promo solution. Business merchandise with complete branding. Whatever your requirements for branded promotional merchandise, we deliver! From video cards and acrylic VIP passes to branded tea bags, Global can supply something special to suit any event, campaign or occasion. Global has access to over 10,000 “standard” promotional items (pens, keyrings etc…) but our expertise lies in creating and supplying the perfect, bespoke branded, corporate merchandise for each occasion whether in the UK or further afield internationally. The latest direct marketing tool with the “wow” factor – Video cards with up to 4.3″ inch screen / 128Mb with full video and audio playback capabilities. A great piece of corporate merchandise, advertise your products / campaign using this unique marketing concept. Printed merchandise – metal passes. 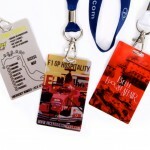 Fantastic pieces of personalised printed merchandise are these full-colour print, bespoke metal passes that are used for security access. They also provide an added value for clients due to the look and feel of the item.